Supermassive black holes at the core of maximum galaxies, counting ours, have an insanely tough gravitational pull. Moreover, voraciously destroying matter, they also create jets of ultra-high-speed particles that discharge outward. Now, researchers have discovered that magnetic fields, which have constantly been measured to be a much weaker force, play a surprising, and remarkable, part in those black hole dynamics. 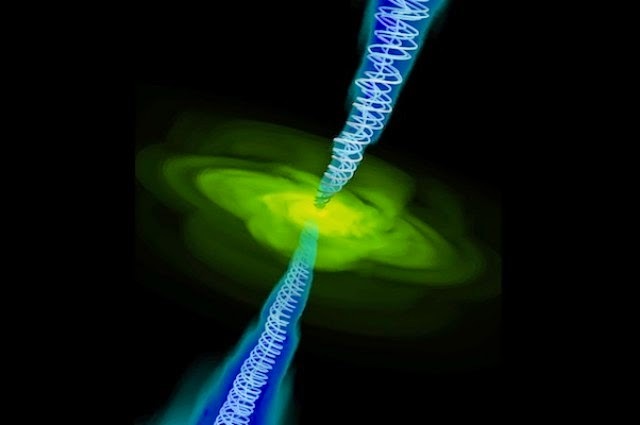 After observing dozens of black holes, a group directed by Mohammad Zamaninasab of the Max Planck Institute for Radio Astronomy found that magnetic field strength matched the force created by the black holes’ great pull. It’s equivalent in strength to those created inside MRI machines in hospitals, that’s approximately 10,000 times greater than the field of Earth itself. By examining pre-existing radio-emission data, earlier collected using the Very Long Baseline Array, the team formed radio-emission maps at various wavelengths. The changes in jet features among altered maps permitted them to calculate the field strength near the black hole.